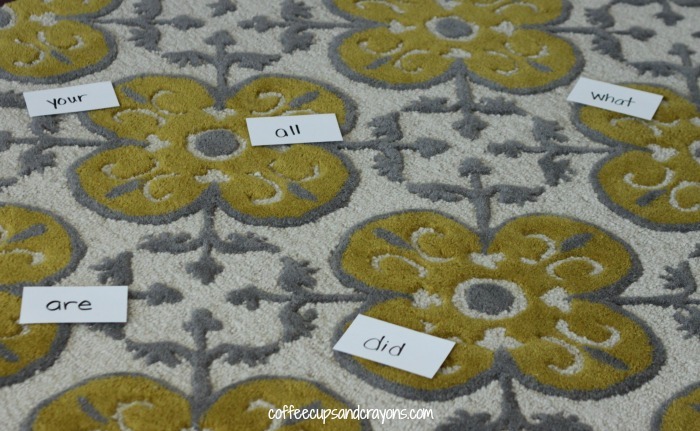 Practicing sight words doesn’t have to be boring–you make it fun by turning it into a game! 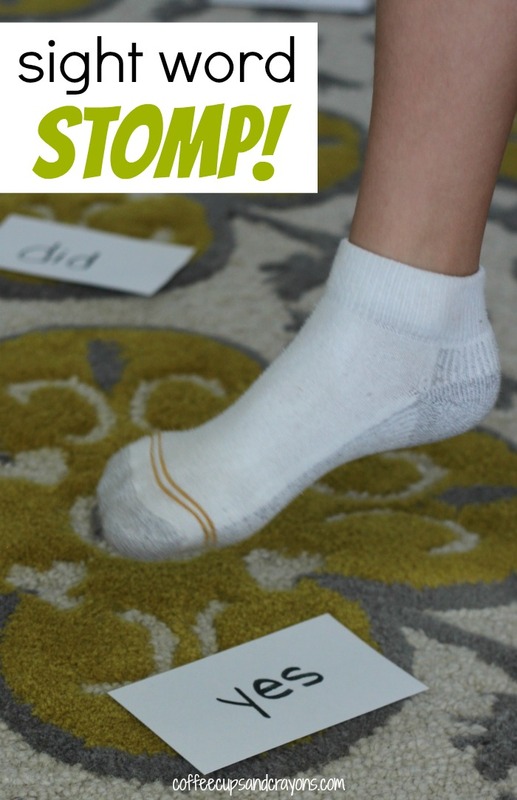 One of our favorite ways to move and learn with sight words is to play Sight Word Stomp! Yep. That’s it! It is a very low prep activity that makes it perfect for all of us with kids. I spread the sight word cards around the floor and called out a word. My kindergartner had to find it and stomp on it, which was lots of fun! Sight Word Stomp! can easily be adapted to whatever your child is studying. You can make cards with letters, math problems, history facts, vocabulary terms, etc. You can even play with multiple types of cards if you are playing at home with multi-age kids. You have such fun learning ideas! I’ll have to give this a go with my kindergartner and preschooler this summer!